The rotary dryer is a type of industrial dryer employed to reduce or minimize the liquid moisture content of the material it is handling by bringing it into direct contact with a heated gas. Rotary dryer is suitable to dry metallic and nonmetallic mineral, clay in cement industrial and coal slime in coal mine, etc. 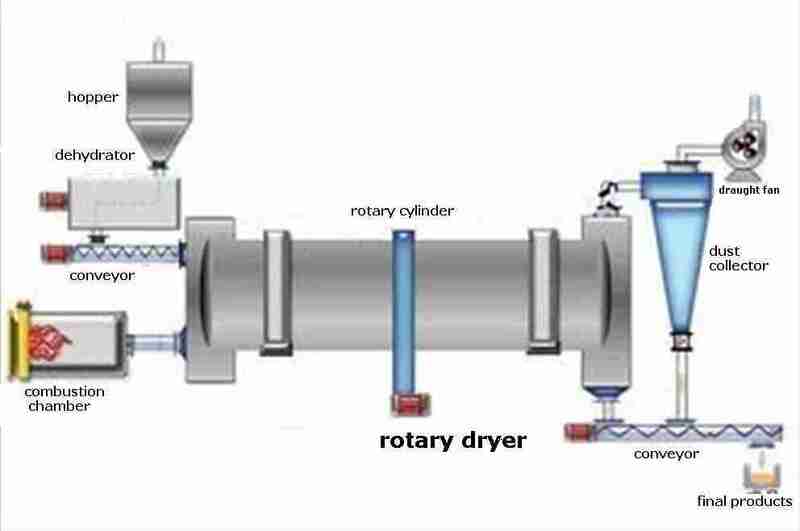 Rotary dryer can be widely used to dry various materials, and it is simple to be operated. 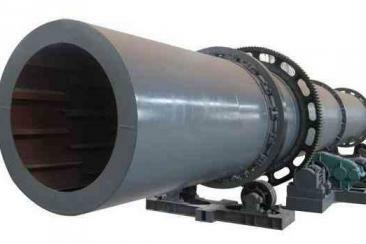 Great wall rotary dryer is made up of a large, rotating cylindrical tube, usually supported by concrete columns or steel beams. The dryer slopes slightly so that the discharge end is lower than the material feed end in order to convey the material through the dryer under gravity. Smoke and wet material can come into the dryer from one side, and we can use high temperature smoke to get evaporation intensity. The discharging port has low temperature and high efficiency. 2. Strong overload resistance It has big capacity, low fuel consumption and drying cost. 4. New type inner structure enhances the clearance of scattered materials and heat transferring process, which removes pasting phenomenon of inner barrel and has high adaption for materials and stickness. 5. Control the granularity and water of product according to the need of our customers, which makes that the moisture can be up to 8%, and particle can control lower than 8%. Material to be dried enters the dryer, and as the dryer rotates, the material is lifted up by a series of internal fins lining the inner wall of the dryer. When the material gets high enough to roll back off the fins, it falls back down to the bottom of the dryer, passing through the hot gas stream as it falls, and then the material dried.